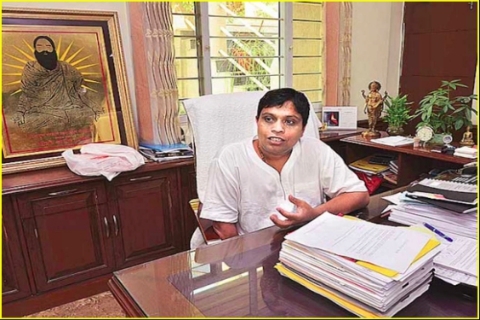 In less than a decade, after starting out from a small food park in Haridwar, Baba Ramdev’s Patanjali Ayurved has started taking giants in business. 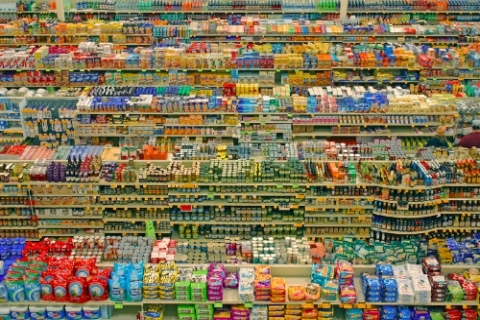 It is proving to be a disruptive force in FMCG space which has traditionally been the bastion of few majors like HUL, ITC and P&G. Can the baba with a business sense be stopped? What is Patanjali’s market share in FMCG? While Colgate will lose its market to Patanjali in oral care only, Dabur will lose substantial business to Patanjali due to overlapping of many products. Why Patanjali is an unstoppable market force? Lower pricing compared to the same range of products, has so far proven to be a winning formula for Patanjali. 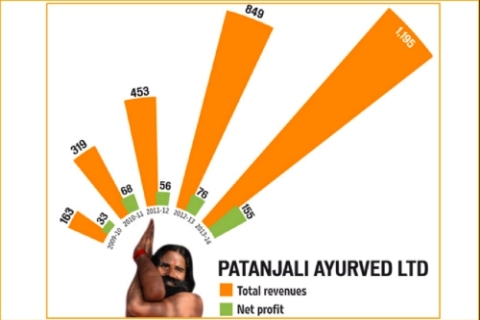 Patanjali’s administrative costs is only up to 2.5% of the revenue, whereas for larger FMCGs it is around 10 to 15%. Literally no advertisement costs were incurred till the last year, owing to Baba Ramdev’s advertising of the products in his camps and word of mouth publicity. The company directly sources from the farmers cutting down the middlemen thereby reducing huge costs. Since it is not a listed company it has no pressure from the investors to show profits. 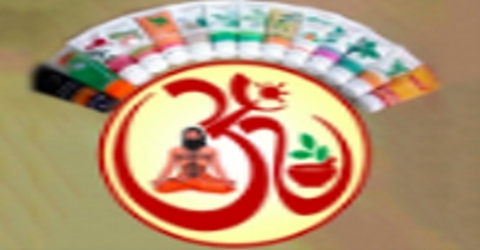 Growing appeal among Indians to use Ayurvedic and natural products is helping Patanjali as is the desire by its customers to express desiness (Indianess). 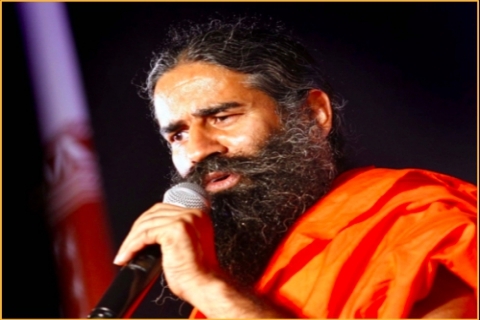 Baba Ramdev’s celebrity status in business and political circuits helps to cut the redtape and business progresses further. When did Patanjali run into trouble? 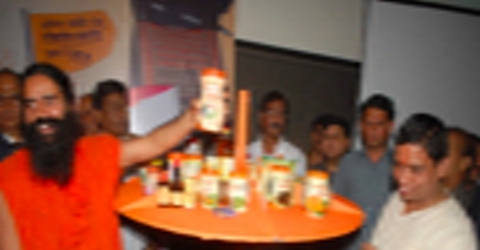 Baba Ramdev launched his own “safe” noodles quickly after Maggi noodles were deemed unsafe by the Food Safety and Standards Authority of India (FSSAI). 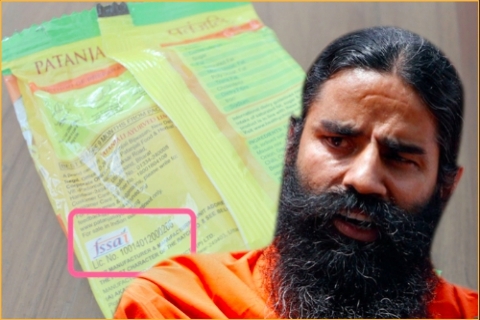 However, FSSAI said Patanjali Ayurved had not got approval for instant noodles prior to their launch. Curiously, the packaging of the noodles showed FSSAI logo. Patanjali is the biggest domestic consumer of Red Sanders wood. Sources from Patanjali Yogpeeth say it is for medicinal uses; it is not clear for what medicinal purposes it is put to use. In China and other East Asian countries it is used as a herbal aphrodisiac. Patanjali has a whole package to cure mental retardation and mongloidness with no clear definition of the diseases. Where does it see itself in the future? The group has 15,000 exclusive outlets across India. They plan to grow to 1,00,000 outlets in next few years. The world is fast changing, and the company can’t still grow with only word to mouth publicity. So Patanjali has hired two top advertising agencies McCann and Mudra to prepare the business for the next phase of growth. Patanjali is also planning to launch its mobile app to help customers figure out the store closest to them. It has already marked its presence in the online market by offering its products across various online platforms like Amazon. India’s retail king Kishore Biyani says he could join hands with Patanjali and develop products. Who are all the shareholders of Patanjali? 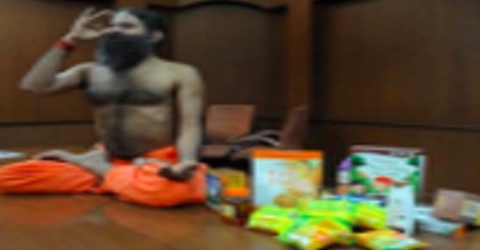 Contrary to popular belief, Baba Ramdev has no stakes in the company (on paper). It is a privately owned company and not listed on any stock exchange. 93% of the company is owned by Acharaya Balakrishnan (picture above). How does the market feel about the astonishing growth of Patanjali? If the expansion plans work out, Patanjali’s turnover may even reach Rs. 20,000 crores in the financial year 2020. As per Broadcast Audience Research Council (BARC), Patanjali Ayurved was one of the top three brands advertised on television in the last week of November, which aided in penetrating more conservative markets. Credit Suisse says that the stats indicate Patanjali’s market share in FMCG is likely to be around 5% by end 2015. 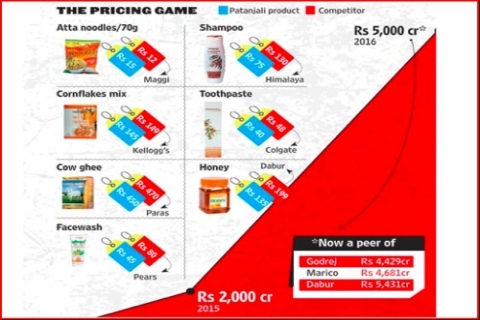 Dabur has already started making plans to defend its market share. Baba Ramdev is making the top players nervous. May be they should do one of Ramdev’s asanas to concentrate better and fight back. 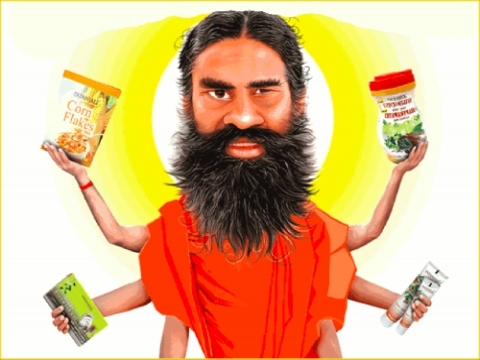 From soaps to cornflakes: Did you know Baba Ramdev is an FMCG tycoon? Hello! <a href=http://onlineuspharmacies.party/#buy-cialis-pills-online>tricare online pharmacy</a> beneficial internet site. Hello there! <a href=http://onlineuspharmacies.party/#buy-tadalafil-no-prescription>dilaudid online pharmacy</a> beneficial internet site. Hello there! <a href=http://onlineuspharmacies.party/#buy-cialis-cheap>costco online pharmacy</a> beneficial site.